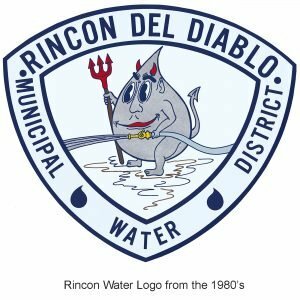 Rincon Del Diablo Municipal Water District (Rincon Water) is located in northern San Diego County within the greater Escondido Valley. Rincon Water’s facilities consist of a parent district, two water improvement districts, and a fire district. Today, Rincon Water customers are located within the cities of Escondido, San Marcos, and San Diego, and within various unincorporated areas of San Diego County. Rincon delivers potable and recycled water to a population of 30,000 through nearly 8,000 connections representing residential, agricultural, landscape, and commercial/industrial water users. In 2018, Rincon Water also exercised latent powers to become a sewer agency for the Harmony Grove Village area located in unincorporated San Diego County. Rincon Water exists to reliably deliver quality water to meet the needs of Rincon Water’s residents, businesses, municipalities, and fire response services. We execute this civic responsibility with professionalism, striving always to improve the value our customers experience for the rates they pay. Most reliable Water System – Rincon Water provides municipal water services to meet the current and anticipated needs of our District. We will ensure reliability through diverse water sourcing and anticipatory system maintenance and upgrades; as a result our system will demonstrably be the most reliable in the region. Most Collaborative Water District – In the San Diego region and statewide, we’re all in the water business together! We will have invested the time and energy into relationships with customers and stakeholders, and found creative ways to work with others. As a result, we will have enough skill, clout, and influence to ensure Rincon Water’s success in its mission. Best Value for the Rates Paid – Rincon Water buys and sells water and distributes it through a system that Rincon Water maintains. Rincon Water will be able to demonstrate that its rates deliver a higher degree of reliability, quality water, and customer service than any other district in the region. Best Water District Employer – Rincon Water employs field technicians, administrative staff, and management to run the day-to-day operations and care of customers. Rincon Water will continue to have one of the highest employee satisfaction ratings in the region.